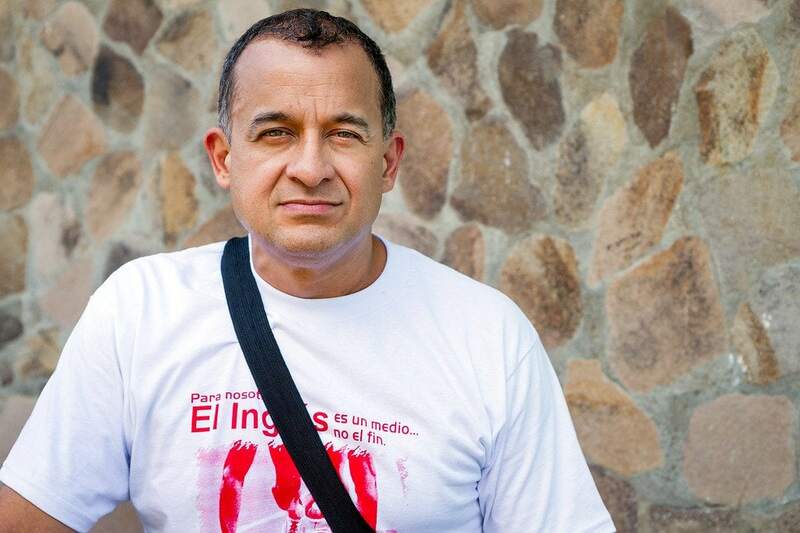 In the city of León, everyone over the age of 40 has heard of Dr. Abraham Paguaga. Trained doctor, scientist, physicist, astronomer, and.. wizard with supernatural powers? I stumbled upon the impressive story of Doctor Abraham Paguaga while out eating street food one night in the city of León, Nicaragua. It was late, around 10pm, and after I ordered my giant chicken empenada with rice & beans, I sat down by myself to eat. There was one other customer eating at that hour, and he soon invited me over to join him. “No one should eat alone” he said in English. Rudy is a Nicaraguan expat, currently living in Luxembourg. He has spent time living in Miami & Wisconsin as well. Now in his late 40’s, he was on vacation visiting family in Leon. After talking for a bit, I asked him what I should see in his city. He had quite a story to tell me. Even with all the rich history of armed revolution in León, you know what his top recommendation was? A plain little house with a plaque out front. “A famous doctor lived there once” he said. In fact, he offered to show it to me when we were finished eating. On the walk over to the doctor’s old home, Rudy told me about the history behind him. Abraham Paguaga was born in 1872. He was professionally trained as a physician, and worked treating patients in the city. He was a brilliant man, and began teaching himself science, chemistry, physics, and astronomy too. He soon built up a reputation for incredible healing abilities. Citizens who visited Dr. Paguaga were always cured of seemingly in-curable ailments. But he had another reputation as well. He frequently experimented with natural, herbal, and mystical healing practices. Using crystals, talking to spirits, and applying plant medicines to cure when contemporary methods didn’t work. As an experiment, Rudy wanted to prove to me that everyone in this city knew about the good Doctor. We walked away from the house and saw an old lady standing by her doorway. Rudy asked if she knew the doctor who had lived a few doors down. Her eyes suddenly lit-up with excitement! Not only did she know him, she had been TREATED by him as a little girl! The woman quickly invited us into her home so she could tell us the story. She roused her two elderly sisters, and they joined in the conversation as well. Soon a framed photo of Doctor Paguaga was brought out, and an old book with his name on it. 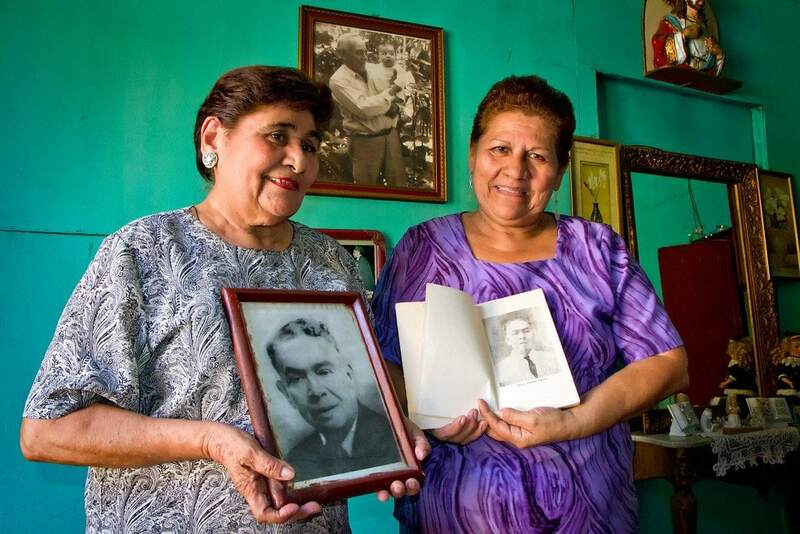 The three Borge-Salgado sisters had all been treated by the Doctor when they were girls, and all three believe it was due to his influence that they were still alive today. Doctor Paguaga’s reputation had become so great, that the Church had started to get worried. The Doctor was not a religious person, and his growing influence and reputation for miracles was not in their best interest. Rumors of witchcraft & wizardry were soon spread. It mattered little though, his following of hundreds of satisfied patients was proof enough for most people that he was the real deal. But if all that wasn’t enough, the Doctor’s death was even more perplexing! 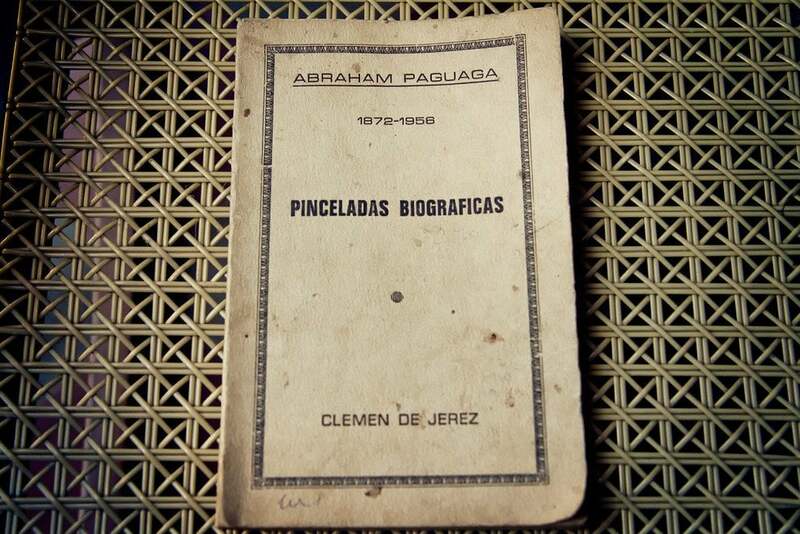 At the ripe old age of 84, the incredible Abraham Paguaga finally passed away… on January 20th, 1956. That very same day, January 20th 1956, his elderly mother of 102 passed away as well! Bernabela Paguaga died on the same exact day (and year) as her son. About 12 hours later. Do you believe in supernatural healing powers? My mom is a niece of Abraham Paguaga. She has told me stories about him. Including the one about the mystery behind his mother’s death. It was said that he gave her 10 years from his life and so they died on the same day. I am very interested in finding out more since we live here in the states and haven’t ever met them myself. My mom does remember visiting his home with her grandmother. If you have any other information I would love to hear about it. I am his great granddaughter and here is an update, his remains were taken out of his grave to take them to Puerto Rico, on April. But the remains were not let out of Nicaragua. They were incinerated and thrown to the sea in Poneloya. Wow! Thanks for the update Betina. Deseo contactarme con mi primo Rudy Dàvila, desde la muerte de todos los “robles” de la familia, no sè nada de èl. Vivo en Managua,Nicaragua y desde q falleciò mi padre Hugo A.Dàvila Paguaga no sabemos nada, eso fue en el 2005 e incluso antes ya habìamos perdido contacto. Primo comunìcate al 22938941. Saludos. Matthew, phenomenal story! I am his great granddaughter, and my mother was raised in the very stone house you speak of, under the Maestro’s tutelage. I grew up with stories of secret rooms, seances and levitating tables, and most importantly, great healing and compassion. His legacy and energy lived/lives on… His daughter, Pinita was a famous psychic and healer, as well. To this day, his great grandchildren practice the healing arts invoking his guidance. Hey! Really nice to watch all this he is the greatgrandfather of my dad whos last names are Solano Jerez, we live on Nicaragua and we are all lovers of Leon really nice! I really appreciate this story my grandmother is Gloria Marina Paguaga grandchild of Abraham Paguaga .I love to hear my mother and my grandmother talk about him and some of the people he helped.Curiosly I looked him up and came across this article. Thank you . Saludos muy fraternos Matthew , siempre te estare agradecido por tu oportuno trabajo al dar a conocer el nombre y labor del Maestro y Dr. Abraham Paguaga , muchas gracias , abrazos sinceros. Ademas , agrego lo siguiente , las personas interezadas en copiar 2 libros del Dr. Paguaga , pueden contactarme a este correo , [email protected] — muchas gracias , muy buen dia , CD. Brother espero en Dios recibas y respondas este mensaje. Soy Alvaro Dàvila, hijo de Hugo Dàvila, tu tìo (qepd).Si deseas contactarme puedes escribirme a mi email [email protected] y en facebook puedes buscarme como alfa eco delta romeo, mi telèfono 22938941. Saludos primo, llevaba tiempo queriendo localizarte hasta q encontrè èste sitio. Chao. Me encantaria el recibir copias de los dos libros Dr. Paguaga y enviarselos de regalo a mi papa que vive en Managua. De nino, mi padre me contaba del Dr. Paguagua, pues el Dr. Paguageua le salvo la vida a mi papa de nino. Estaria dispuesto a cobrir todos sus gastos de copia y de envio. Muchisimas gracias y que Dios lo bendiga. Very cool Adrian! Glad you found my article. It is a fascinating story. Great article! By any chance do you still have a copy of the book or know where I can find one? I have been searching for this book for several years. I know it’s a rare copy, but if there is any way to photocopy/scan the pages from someone that owns the book so that I can finally read it, it would be amazing. yo no tengo website pero si tengo informacion del maestro.yo lo he buscado como familiar y los relatos son muchos. yo naci en leon, conici del dr paguaga, una prima de mi madre, ya despues de sutrascendencia, lo consultaba y le aydaba con curaciones. realmente agradezco que se comente estas historias, y mas aun porque fueron ciertas. vivo en leon y tengo 30 años pero siempre he quedado intrigado e impresionado con los relatos del maestro, mi madre cuanta muchas cosas de el y por ahi venimos siendo maestros, he recopilado alguna informacion y fotos del el. y seguire investigando mas aun. de verdad muchas gracias, esto es importante. I AM 43 , and still continue having a special communication with him, the lastest was on hollyweek, my cousin and I both went to his grave to paint it, and when we finished , I return to my home, in there, going to the yard from the living room , I saw him sitting on the chair, it was like a transfiguration or something like that, but really happened, other day,we , my wife and I went to bed as usual very early, so we had to get up earlier next day to be at work, and when we turn off the light , light went turned on again, I turned off, it turned on, 3 times, and after, and earthquake, movement was feeling close by……ok. he is still alive, god want him stay helping people… and there are other things ,around …..
Muchas gracias Matt. Gracias a tu gran trabajo muchos podrán leer la historia del Maestro en pro de mitigar, curar el dolor humano sin distinción de clase, raza u origen… la población de Leon te estrada agradecido por siempre… Ademas no quiero omitir lo siguiente: Muchos miembros de mi familia que ya no están en vida, pero que conocieron y fueron curados también por las prodigiosas manos del Maestro, te agradecerían con mucho sentimiento, respeto y corazón tu labor fructífera… Felicidades Matt! 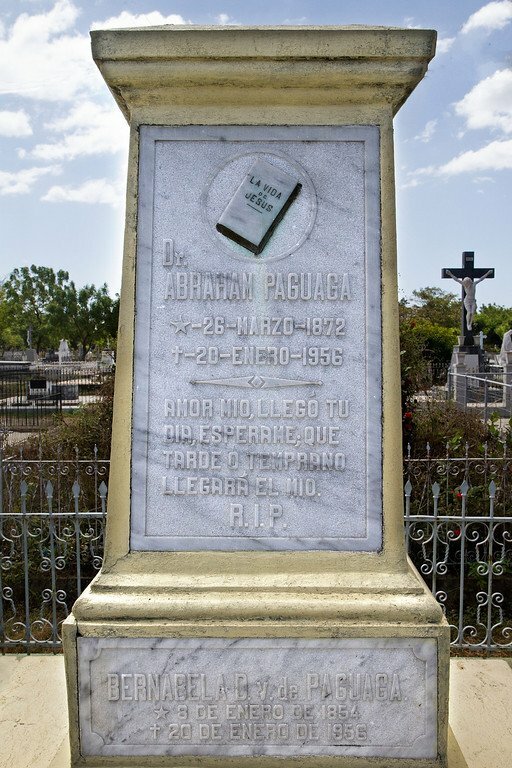 thanks for telling the story of my dear uncle, dr. Abraham paguaga, as you can see on his grave is written the date of his death and his mother, both of them died the same day with a few hours of difference as he told some of his friends 25 years before it happenned. They also say that he could left his body at will (astral projection)and heal his patients ailments. Hi Mario! It was my pleasure. A great story. Your addition makes it even more incredible! I’m sure one of the herbal remedies was to smoke a handmade cigar. Did I mention, I feel a cough coming on? Hack, hack. Soon, I hope. Wow, that is so fascinating! What a coincidence that the woman on the street had been treated by him! Yup, it was also pretty cool getting invited into their home at 10pm to chat. They could have talked about him all night! I am amazed by your ability to always stumble upon interesting stories and places that are not in travel guides. Great story! Thx Stephanie! One reason may be that I try to avoid using guidebooks at all costs, and just wander around on my own.